Your Bahamas destination wedding should be flawless, and a wedding planner specializing in this location can help. Of course, it’s equally important to ensure your guests are cared for – especially when they have to foot the travel and hotel bills to attend your event. Wedding etiquette rules are constantly undergoing changes, which is why it can be difficult to find the latest information to answer your most pressing destination wedding questions. Read on for some tips to make sure you and your spouse-to-be implement the best possible destination wedding etiquette for your event. In a typical local event, the bride and groom should only pay for the wedding ceremony and reception. Guests need to pay for their own travel arrangements and hotel stays, while the hosts cover food, drinks, décor, and entertainment. If your Bahamas destination wedding is going to be a longer celebration, it’s also courteous to throw a welcome party or farewell breakfast or brunch. Most destination wedding events are three to seven day affairs. Activities and excursions, such as a group sailing trip, a tour around the town, or a snorkeling expedition. Transportation to and from the ceremony and reception sites. An airport shuttle to bring guests to their hotel upon arrival and back to the airport for departure. Travel expenses for wedding VIPs. If your elderly relative or starving bridesmaid can’t afford to attend otherwise, hosts should be willing to cover the costs. Notably, you should keep these assistive expenses on the down low, because you may otherwise open yourself to criticism from guests who declined your invitation for financial reasons. A close friend or family member may also fall into this category. It’s also a good idea to pay for hotel rooms for the wedding party, including bridesmaids and groomsmen, if necessary. Guests should otherwise expect to pay for their plane tickets, hotel room stays, and meals or beverages outside of wedding festivities. They should also expect to pay for outside activities and excursions. 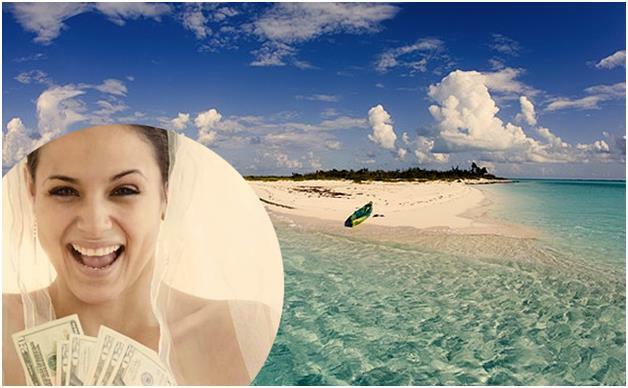 If, for example, a guest wants to become a certified SCUBA diver on his or her trip to your Bahamas destination wedding, you shouldn’t be expected to foot the bill. Send out your save-the-dates at least 8 months prior to your wedding. It’s critical to give guests ample time to plan ahead for your faraway locale. A road trip of two or three hours requires far less planning than booking plane tickets and hotel stays. 12 months is the ideal time frame, as it will offer guests the ability to schedule their travel and take time off work. When sending out save-the-dates, be sure to include relevant information about the destination. Link to your wedding website as a courtesy. The average timeline for formal wedding invitations is six to eight weeks beforehand, but for destination weddings, you should allow more time. 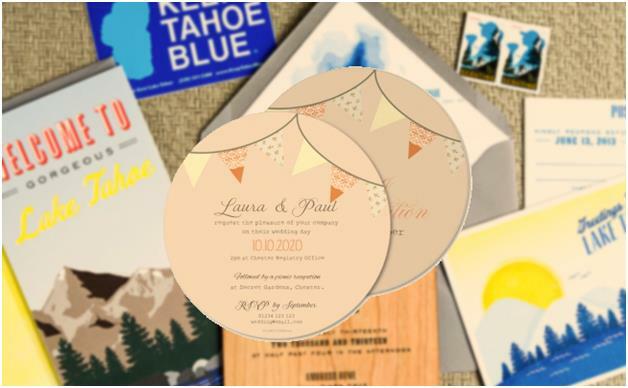 Send out invitations up to three months ahead of time, emphasizing the wedding itself. 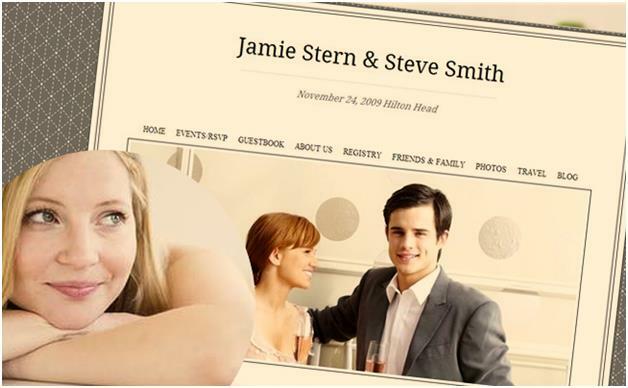 Don’t turn your invite into a travel brochure; rather, include another link to your wedding website. When sending out invitations, never include gift registry information. Instead, place your registry on the wedding website. The wedding site should also include imperative online updates like ceremony location, travel information, hotel rates, airport info, and more. Because a destination wedding usually involves multiple events, consider sending out invite cards for other celebrations, like brunches, day trips, and more. Host events right off the bar to bring all your guests together, including those who haven’t yet met each other, and be sure to prepare your guests accordingly. For destination weddings, guests are already expected to shell out several hundred dollars for plane tickets, hotels, rental cars, and new items of clothing – a huge investment. As a courtesy, you can tell your guests their presence is enough of a gift. Many guests will want to offer gifts anyway, so to avoid lugging bulky and expensive items to and from your Bahamas destination wedding, place a honeymoon fund or charity fundraiser on your wedding website. This way, your guests will avoid worrying about keeping these items safe and secure, and you won’t need to worry about leaving extra room to bring gifts back home. Guests should never have to stress about destination wedding gifts, so consider including an “opt out” checkbox on your website. This way, if guests choose to give a gift, you’ll know it’s an active decision and not offered solely out of obligation. If you’ve invited guests who can’t attend, it’s important to help them feel included. Throw a second reception for family and friends who, for financial or other outstanding circumstances, are unable to hop on a plane to your Bahamas destination wedding. You can also offer them a way to view the ceremony itself by live streaming the event on video. If invitees can’t view the wedding as it’s happening, leave the video up so they can enjoy the show later on. Another option is to have a designated social media friend or friends to update Twitter with a special #hashtag for your event. A wedding planner can help you ensure all your Bahamas destination wedding guests’ needs are met. They’ll help you negotiate airport transfers and other logistics, hotel or resort bookings, guest excursions, and more. If your wedding is in a secluded beach location or in an old colonial church, a planner can also help guests figure out their travel to and from the event. If your guests are unhappy, your ceremony could prove to be a flop. A planner can help guide you and your betrothed through all the important components of destination wetting etiquette, offering invaluable advice. For your Bahamas destination wedding, consider an event specialist like Chic Bahamas Weddings. You don’t have to take care of every detail – we are here to do it for you.